If you are a lover of books and free speech, you probably already know that it is Banned Books Week, a time to highlight and support books that are challenged by society for a variety of reasons. Many books that are considered classics today have been either banned or challenged by schools, libraries and politicians for issues ranging from sexuality, violence and other "social offenses." Upton Sinclair's The Jungle, a fictionalized story about the horrors of the American meat-packing industry in the early 1900s, was not only an expose on what was really going on with (and going into) our food, but also put on display the "inferno of exploitation" poor and immigrant workers had to deal with at the time. Luckily, the book helped change the laws around workers' rights and food safety, ultimately with the creation of the Food and Drug Administration (FDA). However, this didn't come without the book's detractors. The Jungle was banned in Yugoslavia, East Germany, and South Korea, and was even burned in Nazi bonfires for Sinclair‘s socialist views. C'mon y'all, no one burns books anymore, right? And certainly not in the democratic United States, right? The Pentagon announced [Sept 27, 2010] it has overseen the destruction of 9,500 copies of a former Army intelligence officer's war memoir that it contends threatened national security. The publisher had planned to release on Aug. 31 Anthony Shaffer's book "Operation Dark Heart: Spycraft and Special Ops on the Frontlines of Afghanistan - and the Path to Victory." Shaffer and the publisher agreed to remove the material. A revised version of the book, with some material blacked-out, is being released. In a statement on the St. Martin's website, Shaffer wrote, "While I do not agree with the edits in many ways, the DoD redactions enhance the reader’s understanding by drawing attention to the flawed results created by a disorganized and heavy handed military intelligence bureaucracy." ...Revoking approval to publish the book at the last minute raises questions, Zaid says, because the [Defence Intelligence Agency] knew for months the book was coming out. "Either someone woke up and smelled the roses or it was retaliatory," he said. With the controversies around Wikileaks, the McCrystal/Rolling Stone interview, and the new Bob Woodward book, our government seems to be doing things all in the name of "national security" these days, and book burnings maybe coming back into fashion. I was cyber-browsing the other day, and stumbled upon Jonathan Alpert latest and greatest advice column on how to be successful in today's economy. As an entrepreneur, I have had to develop certain skills to succeed in my business and as a writer. Here is my take on Alpert's success traits. Having a straightforward life strategy or business plan, while maintaining the highest standards, will not only help you get organized, but also present a professional and polished image before anyone you meet or do business with. So, looking like you have your sh*t together goes a long way. See an obstacle as a challenge. 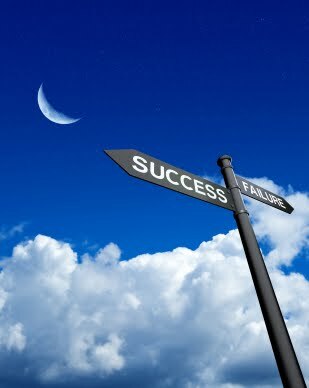 A successful person is someone who knows how to be resourceful, think outside the box and always has a Plan B,C,D,E,F etc. Again, think outside the box. Being unique helps you stand out and get noticed. Things don't happen to people who just sit around and expect opportunities to fall on their laps. Always look at a situation and see how you can seize the moment for your advantage. Dump all the insecure losers in your circle of friends and professional networks. They are going nowhere in their lives and only want to bring down other people into their misery. Success breeds success. Failure breeds failure. As Alpert said, "A strong belief in who you are and what you do can lead you to become a brand in itself" So, shameless self-promotion is the name of the game. You have to love what you do and represent passionately to convince others to believe in you. Because of the bad economy, everyone is having a hard time these days. Recently, the Census released a report, revealing that approximately 14.3 percent of Americans live in poverty, and the numbers are even worse for people of color. But what the United States is going through right now is something many in the developing world have been dealing with for many years. This week, world leaders are gathering at the United Nations to discuss the poverty question. U.N. Secretary-General Ban Ki-moon is leading the discussion. "We have led you to the river, so what are we asking of you today?" he asked a U.N. summit on global goals to fight poverty, hunger and disease. "To stay true, true to our identity as an international community built on a foundation of solidarity, true to our commitment to end the dehumanizing conditions of extreme poverty." Morales also called for the establishment of a bank for developing countries in the southern hemisphere, including those in Africa and Asia. The bank, if funded with a percentage of the countries' international reserves, could help the countries "break away from our dependency on the International Monetary Fund and the World Bank," he said. During the four years he has served as president, the break with the IMF and the World Bank has helped Bolivia, he said. "Without the IMF, we're better off than we were before," he said, citing eradication of illiteracy, a drop in extreme poverty from 41 percent to 32 percent and a 42 percent drop in infant mortality. But Bolivia will not be able to meet the millennium goals unless the distribution of wealth is made more equal, he said, noting that a recent U.N. report says that the poorest 40 percent of the world's population has only 5 percent of global income, while 70 percent of world income goes to the top 5 percent of the world's population. "That is unfair distribution of wealth," he said. "Our task should be oriented toward putting an end to this unfair distribution."